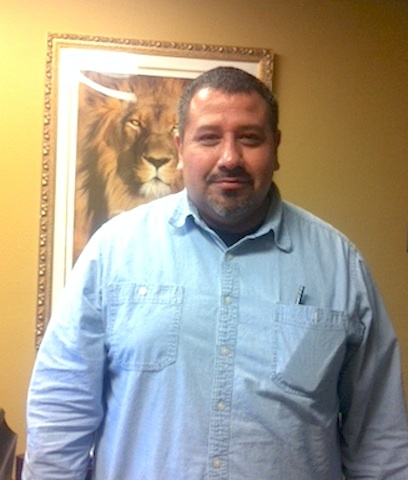 Meet “Yuri Avalos” our LPC-S on staff at La Paz. LPC-S stands for Licensed Professional Counselor Supervisor. In order to be an LPC you need a minimum of a master’s degree in counseling from an accredited university. After graduation you must pass a National Counseling Examination and complete a total of 3000 hours of supervised clinical work experience. LPC’s can work in a variety of settings where mental health services are offered, including private practices, hospitals, community service boards, rehabilitation centers, schools, clinics, and non-profit organizations. Yuri, thank you so much for taking the time to answer a few questions for us as its always inspiring to hear anyone complete such a directive and then even more so to continue using their trained skills. What year and university did you graduate from, and where did you do your supervised clinical training after your degree? Yuri: I graduated with my master’s degree from the University of Texas at San Antonio in 2006 and completed my Clinical training at The Center for Health Care Services and at STOP Programs. Angie: What inspired you to take up this field? Yuri: My Bachelor’s Degree is in Education and I took a job at a private Sub-Acute Psychiatric Hospital to run groups and teach clients on various subjects. The people I worked with began to make significant progress under me so I was promoted. I was made a supervisor after 3 months of being there and took the process I had implemented within my group and applied it to the entire Unit. 9 months later I was promoted again and took my system and applied it to another Unit within the hospital. The patients made significant progress during my tenure and I decided to stay in this field. Angie: How long have you been working at La Paz? Angie: Why did you personally choose to work at “La Paz Community Mental Health Center? With that kind of schooling and training why not open up your own practice? Yuri: This may sound a little strange to some people. I am a Christian and before I started working at La Paz, God gave me a dream where he was showing me things that were going to happen at the job I was currently working at. In my dream he also walked with me to a new destination that he had for me. He showed me what appeared to be a place in Africa. I didn’t think much of it at the time, but a few months later, the things from my dream began to happen. One day, I was on my computer and saw an ad looking for counselors to do some group work so I decided to send in my resume. I had my interview with Diran and learned that he was originally from Africa and suddenly the dream started to make more sense. Needless to say I got hired and like they say, the rest is history. To answer your second question, I do have all the tools and connections that I would need to start a successful private practice. I have very good relations with many psychiatrist and mental health advocates in thecommunity and many potential investors that have wanted to partner with me in such a venture, but I really try to follow where I believe God is leading me, and at this point in my life, I believe God wants me here. Angie: That’s really nice and what kind of services does La Paz offer? Yuri: Group and Individual Therapy is the main bulk of our services but there are so many others services we provide. We provide breakfast, snacks, lunch, dinner, transportation services, nursing services, case management services, we have a clothing pantry and a food pantry, just to name a few. Angie: What is your role as administrator entail at the center? Yuri: I oversee many of the day to day operations regarding client care. I supervise multiple clinicians and student interns, I prepare certain documents for the psychiatrist and I will generally plug myself where ever I am needed. Angie: What’s the difference between counseling and therapy? Yuri: It’s basically the same thing. Angie: If someone feels they need therapy and starts to see a therapist, how does one know whether that therapist is right for them? I mean, all therapist just like people have different values, so how do you know which one would be right for you? Yuri: I would say if the therapist is helping you and you are making progress towards the goals you established with him or her, then they are probably a good fit for you. Angie: How much does therapy cost these days? And is there a sliding scale at La Paz? Yuri: We generally follow the Medicare reimbursement rates and I believe it is around $85.00 per day at this time. Angie: I understand there are group therapeutic services at the center. Do you offer private consolation? Yuri: We have an outpatient program that is open to our client’s and we are close to opening up a community outpatient program where people from the community will be able to receive individual therapy at our center. Angie: Are workshops included and if so are they different than group sessions? Yuri: We don’t have any workshops at this time but perhaps in the near future we will. There are several community needs we would like to address and provide services for such as Parenting, Addiction, DUI, Victims of Abuse, Trauma, PTSD associated with Veterans and Court Mandated Offenders workshops and Group therapies. Angie: What kind of Insurance does La Paz take? Yuri: Currently Medicare and a few of the HMO’s associated with Medicare. We are also actively pursuing various Medicaid panels to become approved providers for their clients. Angie: Does La Paz turn down people who are seeking mental health when they don’t have insurance? And if a person doesn’t have insurance, is there some kind of alterative steps one can take to get this kind of help? Yuri: La Paz will generally do everything they can to help people in need regardless of their insurance. We have social workers, counselors and case managers that provide assessments and referrals to ensure that every client receives the services they need. Angie: Once someone comes in and wants to register for the services at the center, how long does it take to actually get started? Yuri: Usually that same day. We have a great intake team made up of Community Liaisons, Intake Specialist, Front Office Staff and Clinicians ready to help the client experience a smooth transition into our program. Angie: Can you explain a little bit about what a typical day is for you and the clients at the center? Yuri: Client’s usually get picked up in the morning from anywhere between 7:00 am to 9:00 am by one of our mental health technicians. They are brought to our center where they are welcomed by our staff and provided breakfast. At 9:30 am, the group therapy begins and the client attends their first of four 45 minute groups. They are provided 15 minute breaks in between groups where they are encouraged to socialize with each other or address any needs they have. They are provided a lunch after their 3rd group and after their fourth group they are once again transported to their homes. Staff usually begins with a morning meeting to discuss any concerns regarding client care and during every break they converge to discuss any client concerns that may have come up. We work together as a treatment team to find the best possible solution and the best possible client outcomes. Angie: I understand you are also a pastor at a church in San Antonio, Texas as well. Tell me a little about it. Yuri: Yes, I am a Pastor working with a larger religious organization called the “Redeemed Christian Church of God.” The church I work out of is called Salvation Center. I am the Spanish Service Pastor so I provide services every Sunday at 1:30 for our Spanish speaking congregation. Angie: Ok…so now, tell me what most people don’t know about you and would be surprised to know if you told them? Yuri: I used to do stand-up comedy and did a little acting in Hollywood. I was also in the ARMY and was attached to a Special Forces Unit. And If you could change something today in the world that would make a difference for the good of all mental health clients what would it be? Yuri: Funding, I believe that many of the recent tragedies involving mentally ill people could have been avoided if there were more services and service providers available to them. Angie: What is your favorite all time song that speaks to you or that says who you are? Yuri: Song of Love by Rebecca St. James. Angie: What about one of your favorite quotes of all time? Yuri: This is actually a quote I wrote. Angie: Oh wow and you’re a poet as well? And which one says it’s what you strive to be? Yuri: I have a quote from the Bible that probably sums up best, what I am striving for. These are the words I hope to hear from God when he looks at my life: “His master replied, ‘Well done, good and faithful servant! You have been faithful with a few things; I will put you in charge of many things. Come and share your master’s happiness” Matthew 25:23. Angie: And what a perfect way to end this interview. Thank you again Mr. Yuri Avalos, it’s been such a great pleasure to get to know you a little better. What you bring to La Paz and our community is hope and admiration. Your personal accomplishments, dedication and desire to serve our community are certainly to be admired. ← Stop The Labeling Madness!